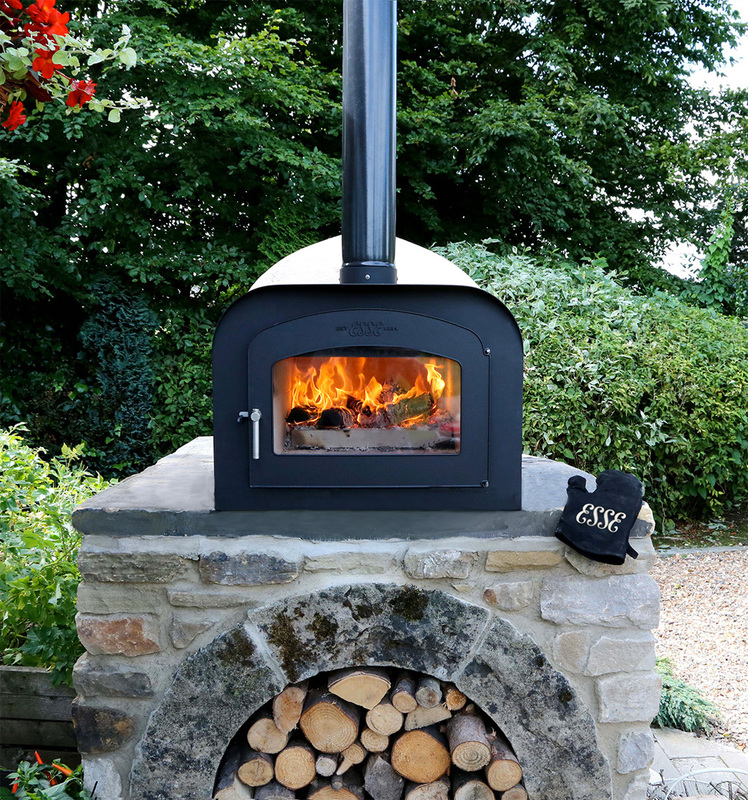 The Fire Stone can be used all year round thanks to its weather-proof design and numerous innovative features. 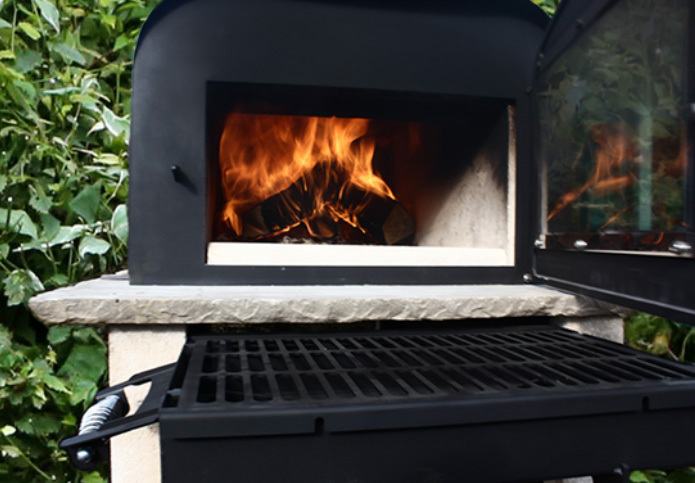 Quick and simple to install, the Fire Stone is perfect for outdoor entertaining: the tall flue carries smoke up and away from guests while the pivot feature on the base allows you to swivel round the oven to suit. 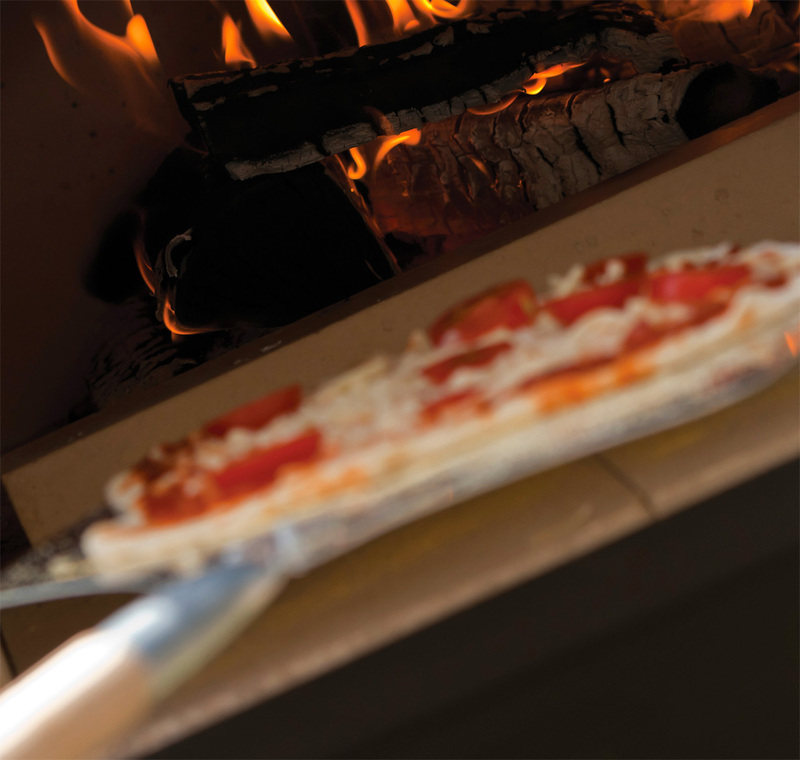 Fantastic homemade pizzas can cook in just two minutes, and the Fire Stone is equally impressive at roasting, baking, braising and char-grilling. 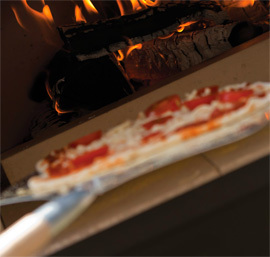 This wood burning pizza oven imbues dishes with an unmatched flavour. 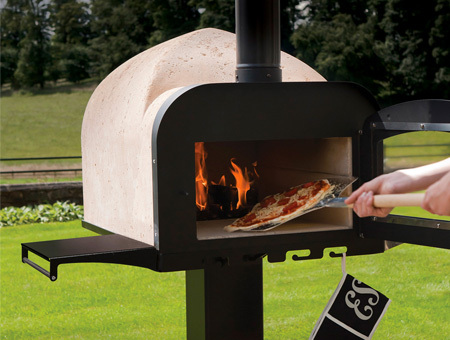 Supplied complete with pizza peel, heat-proof leathermitt, pizza pan and cleaning brush, the Fire Stone design also incorporates a tool hanging rail. There is also the choice of a retrofitted barbecue with detachable handles. Alternatively, it can be supplied in kit form for you to position onto your feature. Let ESSE build it or do it yourself, this outdoor cooker allows the freedom of al fresco dining all year round. The ESSE Fire Stone is just the latest in a long history of handmade cookers and stoves that have stood the test of time in cottages and castles, on luxury liners and pioneering expeditions from Tropics to Poles for more than 150 years. Highly-insulated, winter-proof exterior shell constructed from GRC. Refractory brick-lined chamber with internal profile optimised to promote high oven temperatures, clean combustion and heat distribution. Glazed “stove door” allows sight of food during cooking, regulates air flow to the fire and retains heat in the oven. Half-catch door position creates air inlet during lighting. The stay-cool, stainless steel door handle is spring-loaded to assist easy door closing. Heavy duty steel base has “pivot” feature to allow orientation of the oven to be adjusted even during use. Flue pipe extends well above head height to ensure a smoke-free cooking experience and the rain shield ensures the flue operates correctly in all weathers. Side and base are made from separate locking pieces, allowing for expansion and contraction throughout the British seasons. Food can be placed directly onto the stone in front of the fire. 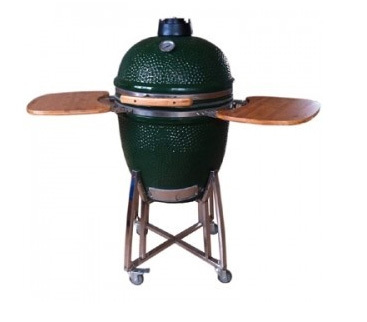 Grooves in the side of the interior allow for three-tier grilling. Two-year warranty (excludes glass and firebricks).